Thank you for joining me as we count down to the MFT release. We are three days away from the big day! All the new Stamps and Die-namics will be available on Tuesday, January 9 at 9:00 pm EDT. Be sure to check out the MFT Blog to see all the new items being revealed today. Don't forget to leave a comment on the MFT Blog countdown posts, YOU could win one of the five $75.00 gift vouchers. 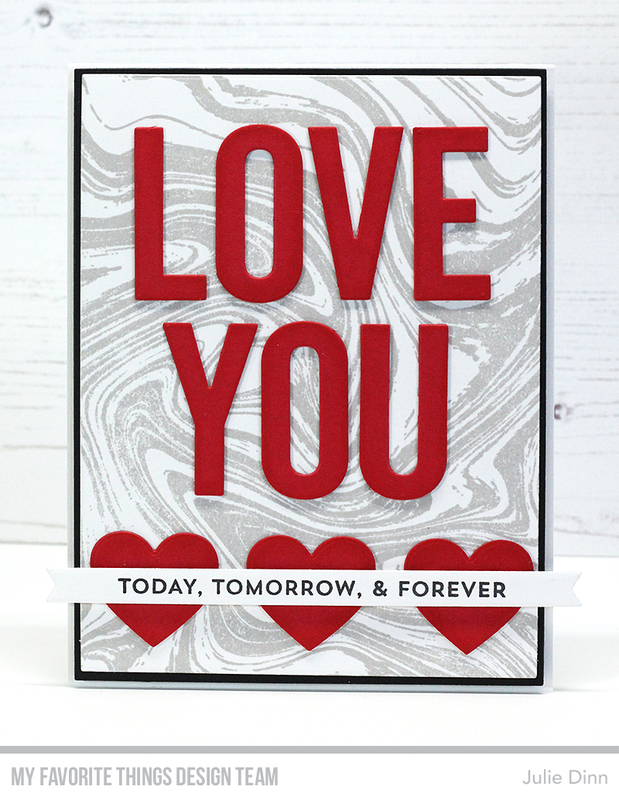 Have you seen the gorgeous new Marble Background stamp? I LOVE this new background! I stamped the Marble Background in Cement Gray Ink on Smooth White card stock. 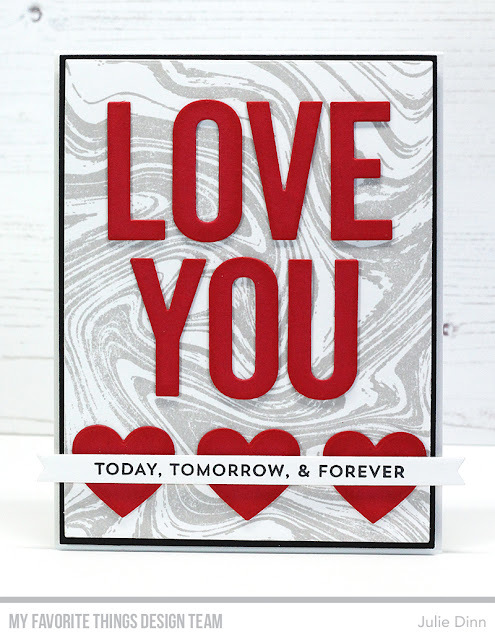 The bold letters are from the new Love You Die-namics, they were die-cut from Red Hot card stock. The hearts were die-cut with the new Hearts in a Row - Horizontal Die-namics. The sentiment is from the From the Heart stamp set and it fits perfectly on the fishtail flag. Gorgeous marble background. I love the pairing with the red LOVE YOU!! This card is fabulous! Love how the red stands out on the light grey Marble BG! Stunning combination... the red and gray. Gorgeous! This subtle background complements the red so well. Thanks for the inspiration. You card is great , I love the colour combination ! So pretty, I love the big bold red letters against that gray marbled background! Gorgeous card!The marble background is very pretty!